Hurricane Harvey hit Houston four months ago. At the time, the storm was characterized as being extremely rough on residential real estate, but not very severe on the office market. But as the weeks rolled by, the sector saw evidence that the office market was not so bulletproof. Skanska’s new buildings in the Energy Corridor experienced problems and tenants such as Telecheck vacated space. So what’s the status of the marketplace now as 2018 begins? Realty News Report contacted Chris Lewis, managing principal at Lee & Associates, for a post-Harvey assessment. 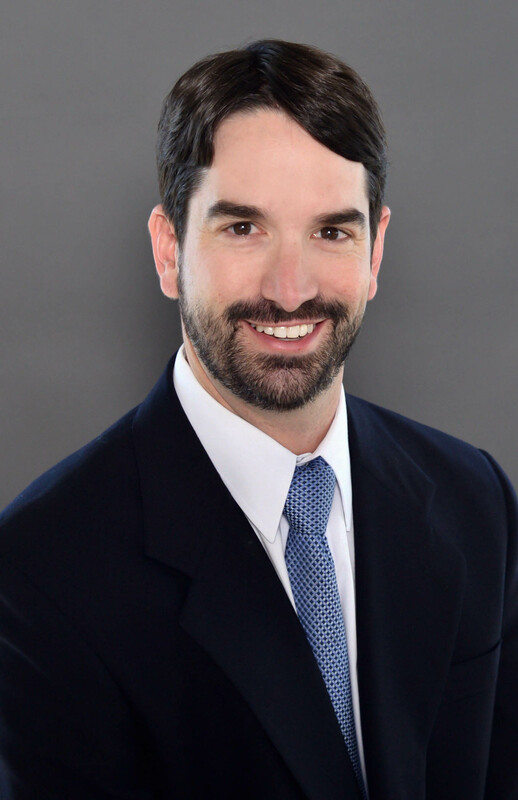 A graduate of Texas A&M University, Chris specializes in representing landlords and tenants in the leasing and sales of office properties in the Houston real estate market. Chris’s extensive knowledge of the local market is complemented by his thorough analysis and marketing skills involving tenant relocation, tenant expansion, lease negotiations, market analysis and property marketing. Realty News Report: How would you describe the impact of Harvey on the office market? Chris Lewis: Harvey landed at the end of August 2017 and brought widespread damage to the south Texas Coast. In Houston, many commercial properties experienced damage, but not enough to cause extensive building closures; however, there was a small portion of specific assets — especially buildings near the bayous — that took direct hits from Harvey- related flooding and could be offline for some time. Overall, with less than 5 percent of the commercial office market affected by the storm and nearly all of that back up and functional today, the impact on the entire Houston office market is believed to be minimal in the long term. In other areas, the storm did spur somewhat of a market shift overnight with regards to supply, demand, and overall cash displacement. Outside of the growth-spurt of sublease absorption directly driven by displaced tenants from Harvey, tenants have been slow to re-engage on long-term commitments for office space in general. That being said, the market supply has become somewhat more limited as well, with a direct focus on diversion to assets that are not in the path of future flooding. Large sublease space available that was furnished and move-in ready after the storm was absorbed quickly. And while that space was not necessarily competitive to the average tenant (the size of users overall is becoming smaller), the space is no longer competing with other direct avails in the market. This will have a positive impact on submarkets like the Galleria/Uptown, Greenway, West Houston, and the CBD in the long-term. Overall, the Houston commercial market will remain relatively unaffected by the storm, as the damaged footprint is minimal compared to the size of the overall market. Nonetheless, a more immediate impact is the financial challenges for small businesses who’s personal were impacted from residences, equipment, supply chains, etc., were temporary affected, causing redeployment of capital back into personal venues rather than focusing on growth in new office areas. Just like a recession, the Houston market has appeared to slow due to Harvey, but once businesses recover, the long-term impact from Harvey will be minimal in the commercial office sector. Realty News Report: Looking back, 2017 was a tough year for the Houston office market. Lee & Associates reported more than 3 million SF of negative absorption by the end of the third quarter and some believe it could be close to 5 million by the end of the year. When will Houston see positive absorption again? Chris Lewis: We still have a long way to go to absorb all of the supply in the city, even with the absorption of sublease space and some large tenants moving around in the CBD. Oversupply, combined with a tenant size that is shrinking its universal footprint need and the drive for more efficiency, is rendering change for what tenants will look for in the future. Positive signals are being seen with recent acquisitions by institutional investors who are re-entering the market for the first time since the oil price slump. I believe that market conditions will likely continue to favor the tenant for the next 18 months or so, while space is further absorbed in the city. Realty News Report: The Energy Corridor is going through a rough patch. What’s going to happen there? Chris Lewis: With the energy crisis and now lingering effects from Hurricane Harvey, the Energy Corridor has one of the highest vacancy rates in the city. The large footprint of remaining sublease avails in the submarket are also set to mature in the near future, creating even more potential supply. The Energy Corridor offers great housing and schools, with an office environment close to home; so, we would not anticipate a mass exodus of the market. Tenants, however, will be more focused on their office choices going forward. For non-flooded assets, we would expect faster recovery, as tenants will seek out these buildings, specifically where there is no flood risk in the future. For assets that experienced flooding from the storm, landlords may have to offer higher concessions to drive tenant occupancy; offering a new opportunity that may not have been available previously for more cost-conscious tenants. Realty News Report: Depending on which statistics you consider, the Greenspoint office market has approximately a 50 percent vacancy rate. The departure of Exxon Mobil was a big blow to Greenspoint. Is there any path for a Greenspoint recovery? Chris Lewis: The Greenspoint market remains challenged and will be even more so as Exxon vacates its remaining footprint. Without a main driver creating organic growth and a symbiotic tenant base, Greenspoint is slated to only draw tenants that need to be close to the airport or located in the northwest part of Houston. The product base is also aging and with so many attractive alternatives available with increasingly better concessions, the absence of a redevelopment in the mall area or other local economic drivers will likely shift the focus for tenants who will look for markets closer to activity, millennial housing, nightlife and good schools. Realty News Report: Have there been times – perhaps in the 1980s – when the Houston office market was uglier than it is today? Chris Lewis: I am not sure it can get uglier than the S&L collapse from the mid-1980s. Similar terminology can be described in today’s cycle revolution with terms like ‘over-excess investment’ combined with ‘deflated oil prices.’ However, the scale of the problem in the 1980s was far greater than the scale of the city today. For decades, Houston has been subjected to energy and banking cycles and it has always found a way to recover. Growth will resume. Rig counts are up from December 2016 to December 2017. OPEC has agreed to cut oil production somewhat, which boosted the energy sector. Houston has a lower cost of living as compared to the rest of the U.S. Approximately 400 people move to the metro area each day, and nearly 40,000 homes are built each year. It is expected that by the end of the year, more than 50,000 people will have relocated to Houston. In addition, incentives such as the resiliency of our citizens during Hurricane Harvey, home of the 2017 World Series Champions, and overall low-cost of living are attractive environments for businesses to relocate to. Realty News Report: By the way, are you a native of Houston? What’s your background? Chris Lewis: Yes! A native Houstonian for 40 years — less the four years spent in College Station for my college education. I grew up in Houston’s inner-city loop and started in the real estate business in high school. I come from a real estate family, so it was only natural to continue on with what works. Realty News Report: What about 2018? What are you expecting in the year ahead? Chris Lewis: Moderate growth in office recovery, stronger growth in industrial and multifamily, flat retail.